Comment: Repaint dormers on 2nd story. Restain all wood trim on house. Reseal all windows. Comment: Very simple project. Little in the way of prepping. Need done soon. Comment: The house was built in 2009. It is due for a new exterior paint. 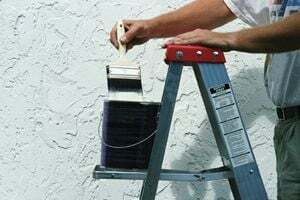 Tulsa Painting Contractors are rated 4.75 out of 5 based on 638 reviews of 49 pros. Not Looking for Painting Contractors in Tulsa, OK?